Two Galway students, PJ Mongan and Ian Mc Donagh, from Scholars Den’, an Outreach/Homework Club co-funded by GRETB & GCC were chosen to represent the voice of a new generation of young Travellers at a recently held exhibition in The Museum of Country Life in Turlough in Mayo. Curator of the exhibition, Aideen Barry, artist and lecturer in Limerick Institute of Technology and artist Louise Wallace, a student in LSAD, collaborated with the two young Galway Travellers to showcase and engage in a discussion panel on the unique Traveller heritage. Both artists agreed that PJ and Ian represented a new voice, one with with the creativity to celebrate a shared Irish heritage and the drive to push forward to exciting and challenging careers in the future. The “Camp” project is a series of art works created by student artists from LSAD in collaboration with Traveller communities from Galway and Tipperary among others. The project was specially commissioned by the National Museum of Ireland-Country Life with support from Limerick School of Art and Design and Limerick Institute of Technology. Curator of the exhibition, Aideen Barry and artist Louise Wallace spoke very highly of the Ian and PJ’s ability to articulate what this new generation of Travellers will take from their unique heritage but also what remaining in education will allow them to contribute to a future Ireland. PJ and Ian say that the collaboration with these distinguished artists was highly enriching and challenging. 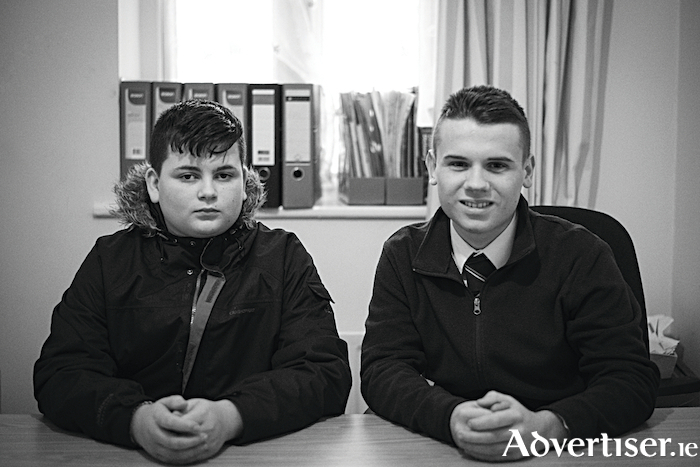 With their eyes firmly fixed on the future, they both say that guidance and support from Scholars Den’, an Outreach/Homework Club which has helped them both complete their Junior Certificate and prepare for the Leaving Certificate. Both Ian and PJ show a promising future lies ahead for both communities.